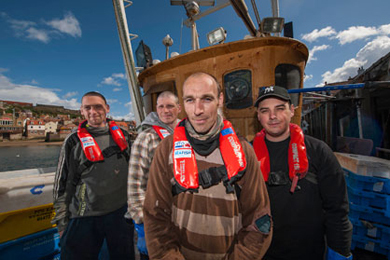 LEADING names within the UK fishing industry have united to promote greater safety at sea by providing more than 6,000 subsidised ‘personal floatation devices’ to fishermen across Northern Ireland and the UK. While overall, accidents within the industry have reduced over the last 15 years due to better training and equipment, life as a fisherman remains one of the most dangerous of professions, with ‘person overboard’ incidents still being the main cause of death. 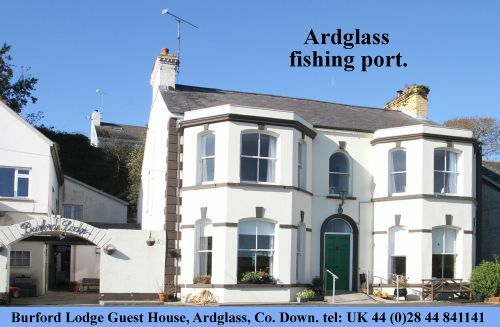 The news has been welcomed by Alan McCulla, Chief Executive of the Anglo-North Irish Fish Producers’ Organisation in Kilkeel. The joint initiative is being run between the National Federation of Fishermen’s Organisation (NFFO), which represents fishermen’s groups, individual fishermen and producer organisations in England, Wales and Northern Ireland, and the Scottish Fishermen’s Federation (SFF). Additional funding has been provided from the European Fisheries Fund (EFF), Marine Management Organisation (MMO), the Northern Ireland Department of Agriculture and Rural Development (DARD) and Seafish. Fishermen are being issued with life-saving equipment in a bid to prevent losses overboard. In Scotland, the initiative will be funded by a donation in excess of £130,000 by the SFF via the Scottish Fishermen’s Trust, along with £10,000 from the UK Fisheries Offshore Oil and Trust Fund, and significant additional support from the Scottish Government. The project involves issuing fishermen with compact ‘personal flotation devices’ (PFDs) which have been carefully selected as they are lightweight, easy to wear and provide protection without impeding the movement required by an active fisherman on deck. According to the NFFO and SFF, traditional lifejackets, which are much bulkier than PFDs and are constantly inflated, can be cumbersome and perceived as constituting a hazard to safe operations. This means they are often only worn in an organised vessel abandonment situation and not all the time, which can prove fatal in the event of someone going overboard. The project aims to encourage the wearing of PFDs all the time at sea, to combat the threat. Alan McCulla, Chief Executive of the ANIFPO, which is a constituent part of the NFFO said “This project was the latest in a series of projects the industry was taking the lead on to improve safety at sea throughout Northern Ireland’s fishing fleet. Derek Cardno, SFF Safety Officer, said: “This exciting initiative is all about raising the overall safety awareness in the industry and we encourage as many fishermen as possible with the correct certification to participate in the scheme and, without cost being an issue, ensure they are equipped with high quality personal flotation devices. The different organisations involved in the project are using a range of distribution methods to ensure as many fishermen as possible receive the PFDs. The NFFO initiative dictates that the PFDs stay with the boat to which they are donated, ensuring the longevity of the project and spreading its benefits to generations of fishermen to come. Meanwhile, those distributed by the SFF are given to individual fishermen encouraging them to take control of their own safety.